We had about 40 attendees from various law firms, law schools and companies. 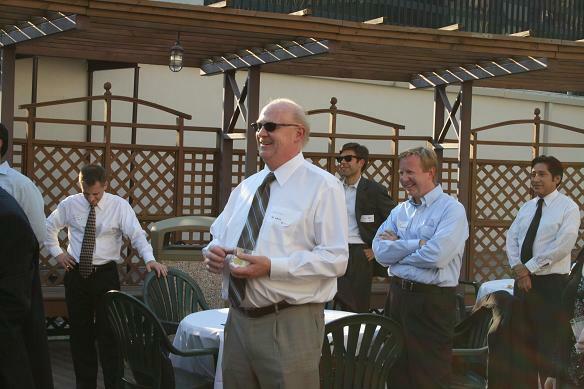 The attendees enjoyed a beautiful evening on DePaul’s outdoor terrace and were treated to Judge Holderman’s prose and poetry about the creation and importance of intellectual property. Judge Holderman was very gracious in complimenting CIPA’s work with the Chicago Public Schools in providing IP education. Attendees mingled and enjoyed cocktails and appetizers at this CIPA sponsored event.